performance-line and high-performance-line. 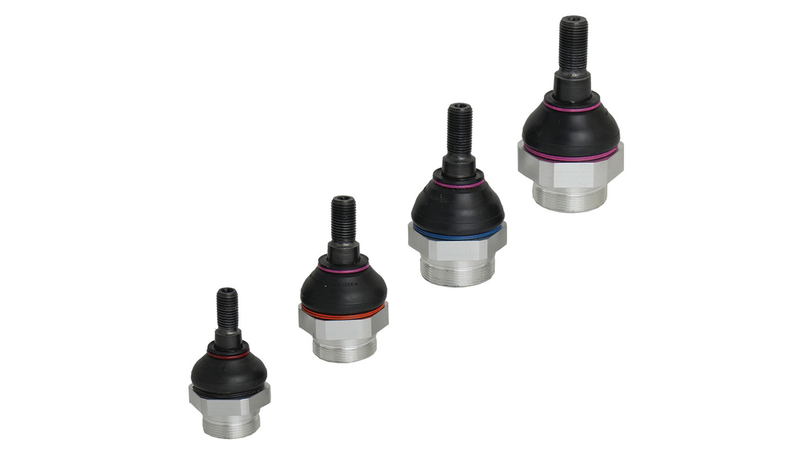 Depending on application, dimensions of space and parameters of load transmission requested ball joint can be selected. Customized solutions can also be realized. For special applications “high-performance-line” with different material conditions is offered. Here ball joint has less weight at same performance. Most common application of sealed bearings is in chassis components. Since 2010 they are used for example in wishbones and already proven in production.